The effect of synthetic cytokinin BAP (6-benzylaminopurine) on protein phosphorylation in isolated maize mitochondria was investigated. The effect of BAP in comparison with classical inhibitors of the mitochondria respiratory complexes, such as rotenone, malonate, SHAM, and KCN on the level of mitochondrial protein phosphorylation was studied. 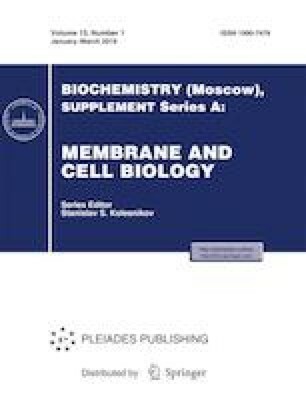 Assessment of the activity of respiratory complexes I and II by the BN-PAGE (blue native polyacrylamide gel electrophoresis) in mitochondria untreated and treated with BAP has not revealed any difference in the activity of these complexes. Investigation of the mitochondrial complex V activity under BAP treatment has shown a significant decrease in the mitochondrial ATPase activity. The effect of BAP was similar to the effect of such a specific inhibitor of the membrane-bound mitochondrial ATPase as oligomycin and an inhibitor of protein tyrosine kinases genistein. Abbreviations: HSP, heat shock proteins; BN-PAGE, blue native polyacrylamide gel electrophoresis; SHAM, salicylhydroxamic acid. The work was performed using the equipment of the CSU Bioanalytics of the Siberian Institute of plant physiology and biochemistry SB RAS (Irkutsk).